Now I can sleep at nights again! Sorry for getting this to you so late, because we were hoping to post this much earlier than today. One reason for postponement led to another, and then all of a sudden we were caught up in first the U.S. Series launch and then the Canadian 4th Season launch and I wanted to make sure Tom's answers didn't get lost in a flurry of blog posts. So for everyone who was looking forward to Stunt Coordinator Tom Eirikson's answers - including the constantly reminding Free Spirit (and I thank you for that, Heartland fan!) - here they are! Click through to the blog for Tom's answers. In addition to being a stunt coordinator extrordinaire, in the Ring of Fire episode (317) Tom also played the role of Garrett, the third competitor in the colt starting competition. The photo above is a great shot from the filming of that episode, showing off Tom's roping and riding skills. Q: Howdy Tom!!!! You do an awsome job on Heartland as the stunts on Heartland are amazing!!!!!!! :-) Here is my question........ What has been the hardest stunt to coordinate in season 1,2 or 3? Thanks so much for your time!!!!! A: Thanks for your question, Carrie. I remember the Ghost Horse as one that stands out in my mind. That was the one where we had to have this wild horse and it was supposed to charge Amy - we had to rope it and catch it. Playing the action out with a tame horse but having to make it look like it was wild was sometimes tricky. Having a scene where a "wild" horse has to charge and run down someone - if you are not working with a perfect liberty-trained horse (a horse that can take visual commands from a nearby trainer and respond) - which was the case here - and having to have him do the action of what a highly trained horse would do, it makes it a little more difficult and to make the stunts look real, can be difficult. But thinking on it, all stunts have their own degrees of difficulty, especially when you are dealing with animals and action and you have to tie the two together, sometimes you have to be a bit lucky as well as good to achieve your goals. Q: heya cowboy! Im lovin' all the work you've done! the stunts are flawless every time so good job! my question is... (drumroll please) ... do YOU, Tom Erikson, prefer bein' a famous cowboy, a fantastic coordinator or a fabulous actor? cheers for all the amazing work you've done so far! I'm sure there's plenty more of you and your skills to see in season 4! A: Thanks for the kind words, but I don't think I've been ANY of them. I'm still trying. But I'm too old to be a famous cowboy, maybe too old to be a famous stunt guy and my memory is going, so I won't be getting to be a fabulous actor, so I am just getting by on what I do. :) It's been fun. I started out as a rodeo cowboy and had some success there and then I moved into stunts and stunt coordination and recently I have had the opportunity to try acting and I guess I know I am made for the stunts when I tell you that I am more nervous standing and delivering lines than I ever was on a horse which was about to try and buck me off. Q: Hello Tom! Greetings from Sunny Britain! I was wondering, what made you decide to want to become a Stunt Coordinator? A: I was doing stunts as a performer and I thought you have to plan for the future and so I started to get my foot in the door and meet some production managers and producers. This led to me getting the chance to be a coordinator and now that is what I do. I no longer have to hit the ground hard, I work with the younger guys and have them do that! Q: Hi Tom! I love the work you do and I think the stunts all look so real. My question is: whose stunts are the hardest to do, like, is Amy the hardest because she is the one who rides most of the time? Or Ty because he gets into a lot of fistfights? Thank you so much and keep up the great work! A: That's a good question, Jenna. Amy's stunts are generally the hardest, because there is always a horse involved, whether she is jumping or roping or chasing one down - or being chased down - they all have their own degree of difficulty. When Ty is throwing a punch the actors or stunt performers throwing or receiving those punches - and sometimes that includes Graham himself - there is plenty of rehearsal time, and everyone knows exactly what the stunt consists of and the choreography is timed just right. With a horse you do not have the same level of comfort, and even though you are fairly certain everything will go as planned with an animal there is always a little more of an "x" factor. Q: Hi Mr. Eirikson! I have been waiting a loooooong time for your Q&A! :) Thanks for taking time out of your busy schedule to answer our questions! First off I want to say that you do an amazing job with all of the stunts! And you make a really good actor! My question for you is: What are the qualities you look for in a potential stunt double? I had the honour of seeing Nikki Cammaert in action at the Cloverdale rodeo this past spring and I hope the maybe one day that might be me :) But it must be tough to break into the business! I know I will I will have to work hard if I want to do it as a career! Nikki is my role model :) Once again thanks for answering our questions and I cant wait to see the new episodes in the fall!!!! Keep up the great work! Tell Nikki I think she's awesome and I hope I will see her next year at the rodeo!! A: Yes Free Spirit, I see you have been chomping at the bit to get my answers. I can tell you love the show and that you love watching the animal stunts. Thanks for your kind words! The qualities we look for in a stunt double are pretty much exactly what Nikki has - the ability to masterfully perform on a horse, the courage to not be scared to hit the ground when she has to and the knowledge to know what is too dangerous to do as far as going right to the edge of what you can do and still be safe. So when she is hanging off of a horse for example she has to know how low she can go. If she's falling off a horse she has to know how fast she can go to make the stunt look as exciting as possible, but if she is going too fast it might not be as safe so she has to gauge that, and she does it well. She is able to pull those stunts off because she has all the experience of being on horses all her life. Q: Hey Tom! Thank you for being willing to work at Heartland and be a part of the amazing show it is. My question is... Who are all your stunt doubles for each person?? 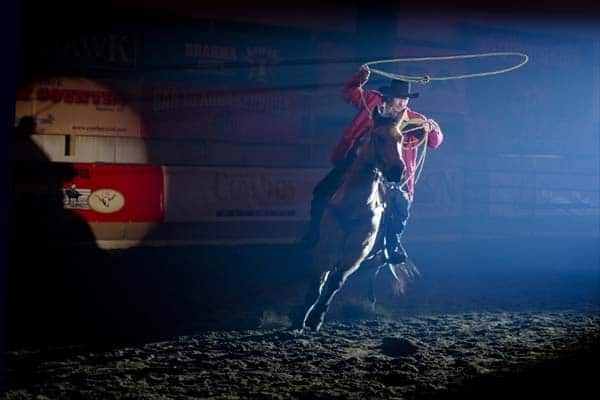 A: Well we have a large variety of stunt performers and we are fortunate to be in the Calgary area where there are a lot of horse oriented people that we can draw on to perform stunts and tricks in Heartland. At any one time we have four women who handle any and all of Amy's stunts, and we have a whole selection of cowboys, ranchers and stunt double actors who do the riding and stunt sequences for the guys, like Tim, Jack, Caleb and Ty. There are too many, who all do great work on the show. Q: Does Amy (Amber) do her her own jumping stunts? A: Amber Marshall is a fabulous and very talented rider and she takes her jumping horse over jumps that are 2 feet or less. It's not that she couldn't clear much higher jumps - she can easily - but for insurance purposes the production has agreed to have any jumps higher than two feet be done by a double. The reason for this is that were Amber to hurt herself and filming was halted for any period of time it would be very expensive, so for safety and insurance reasons she is prevented from doing some stunts that she is more than capable of handling. Q: Tom...wow, a man who wears many hats! First, loved you in the ring of fire episode, secondly, the stunts on Heartland are awesome and finally, Thank you so much for taking the time to answer our many questions! :o) So...I have a simple question, who from the cast, do you think, could possibly make a career out of doing stunt work? Q: Hi Mr. Eirikson! I just want to thank you for what you have done to make Heartland the most amazing drama across Canada. You do an fantastic job with the stunts and I want to give you a big round of applause from all of us Heartland fans! Thank you :) Now, my question (this has been really hard to narrow down what to ask you! ): What was it like actually doing "acting" in The Ring of Fire and not just the stunts? A: Good question, Phoebs. Acting in the Ring of Fire episode (317) was a whole new experience for me. Instead of being on the outside watching what was going on I was right in the middle of it. What made it fun was the experience and talent of the actors I was working with - acting across from Amber, Torrance and Graham helped me get over the jitters and indeed it was a fun experience. Q: Hi Tom! First off, thanks so much for taking the time out of your amazingly awesome and busy schedule to answer all our questions! So, for the sake of tradition and completing the Great List of Comfort Foods, here is my question: What's your favorite comfort food? Also, how you choreograph a fist fight to look realistic without actually getting the actors to bust each other up? Anyway, thanks for taking the time, and take care! A: You've had some long winded answers to that one in the past, Twe, but for me it's one word only - CHEESEBURGERS! As to the choreographing a fist fight - and you are going to see one heck of a bar fight later in season four, wait for it - it's all about timing, practice and rehearsals. No movement is done without everyone knowing exactly where they are going to be standing or moving, and we do it all at a much slower pace than at which a fight actually occurs. I hope you never find yourself in the middle of a bar fight, Twe, but if you do you will see it goes down a lot faster than the ones that take place in movies or on television. Between those scenes being well rehearsed and being shot several times and then cut together by the talented editors on this show I think you are going to like what you see. And I hope I am not giving much away, but you are not going to have to wait too long to see a bit of a scrap on Heartland. That's all I am going to say! Q: HI Tom - you did a amazing job in the first 3 seasons! How long have you been a stunt coordinator?? A: Well Sask Girl, the first time I worked as a stunt man was in a 1984 television movie starring Kirk Douglas called "Draw." And my first job as a stunt coordinator was on a 1989 film by Anne Wheeler called "Cowboys Don't Cry," which was a rodeo film. Because the subject matter was right up my alley - I was a professional rodeo cowboy at the time - it was right up my alley and it gave me my big break in the film and television industry. A: Thanks, Orla - that's a very nice compliment. Between the hair, the wardrobe, and my ability to find the right person who can perform the necessary rodeo and stunt work, meaning someone who looks a lot like Kerry James, we were able to put it all together. And when these didn't work there was Craig's creative camera shots and the magic of the editors. Q: Hi Tom! What's the best way to become a stunt double? A: It's really a simple answer. Have the ability to perform the stunts involved and resemble the actor that you have to double for. In western based shows, such as Heartland, the ability to ride, rope and work around and be comfortable with animals gets a lot of people work as doubles. People who are strong swimmers or divers get work in films and television production that calls for scenes in water. If you can perform the stunt and if you look like the actor whose character is supposed to be pulling those stunts off, you should be in the running for the job. Q: Hello Tom, I think it must be a lot of fun to be a stunt coordinator! My question for you is: have you ever had to coordinate a stunt that made you worried about the stunt double? Thanks for your time! A: A simple answer, Teri - No. You want to have a controlled environment for your stunts. With the experience and knowledge we have all acquired we are usually able to have a 100% safe environment. Of course whenever you use an animal there is a possibility of the odd unpredictable thing happening, but for that very reason you take all the necessary precautions to ensure that your stunts go off without a hitch, and with no danger of anyone being hurt. There is no room for daredevils or heroes in this business; everyone works together as a professional team, from the coordinator to the director to the performers to ensure that what is on the page is captured as written, but also without any incident. If this industry were unsafe I would not be working in it. Q: Do some actors have more than one stunt double? I mean like Amber. She does show jumping, she falls off her horse, she even did trick riding. Do you have a stunt for each incident or is it always the same one? Thanks for taking the time to answer my question! You do a great job! A: Well Suzy, we have different stunt doubles, depending on the different skills needed. Amy has so many skills she is required to perform, so we have about four performers who double for Amber Marshall when needed. One performer strictly does the high jumps while another handles all of the major roping stunts. Q: Hi Tom! I think that the stunts on this show are terrific! Well Done! And it's pretty cool that you were actually in the episodes, its good to appreciate everyone that works so hard to make the show the success that it is :) My question is.... What is harder for the stunt doubles and/or actors to do, a stunt where they have to keep their balance or a stunt where they have to fall perfectly? A: It depends. Falling perfectly is a little more difficult than keeping your balance because a falling person is going to come in contact with the ground which, depending on the surface and other factors, such as if they are falling off a horse or off a building, adds a degree of difficulty that we have to be aware of. Maintaining balance is something all stunt performers do, and that makes it a little easier. Or should I say less difficult. Q: What was the most dangerous stunt (you've designed)? A: I wouldn't use the word dangerous - and if you read my earlier answers you'll know why - but if I were to answer the TRICKIEST stunt I've designed it would have to be in Season One where we had to have a greenhorn rider (Ty) ride down a cliff. We had a safety net in case the stunt performer fell the wrong way and we knew it was safe, but there was still a seventy foot drop to the riverbank. 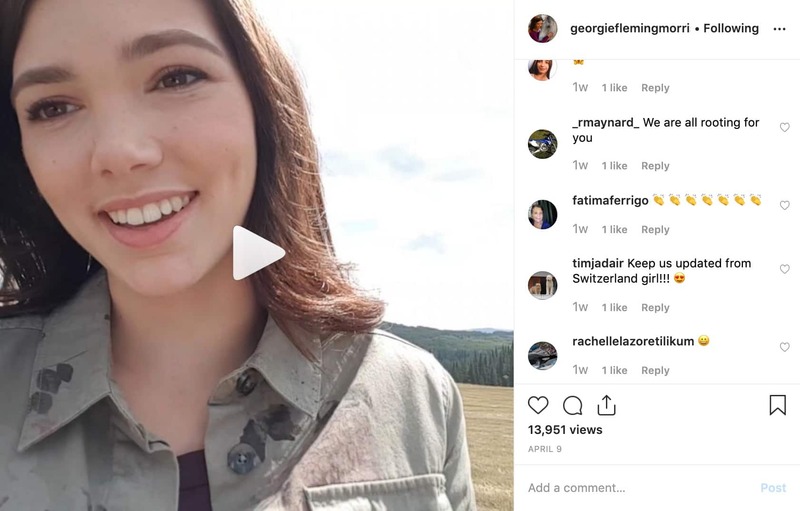 That's the kind of stunt that, as I said, you know it is safe, but you still feel a lot better once the footage has been shot and you get to move on. Q: Hello Mr. Eirikson!!! 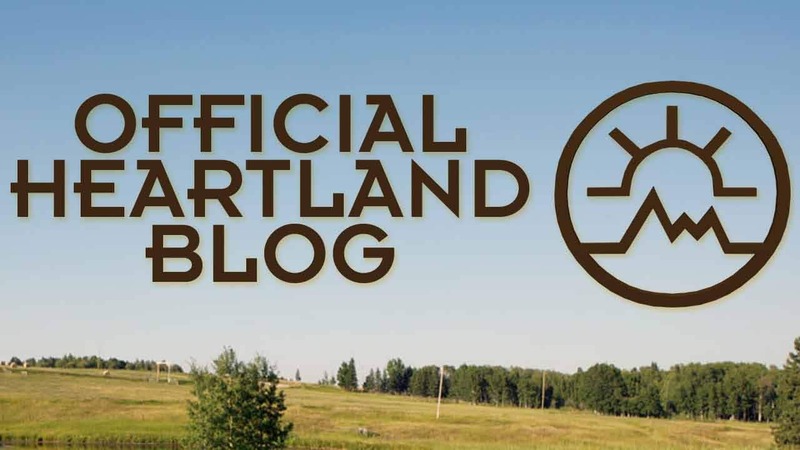 I am SUCH a HUGE fan of Heartland! I LOVE your stunts and your acting as Garret was amazing!!! My question for you is: Have there been any actors or actresses on Heartland that do all of their own stunts? Such as Ben in Season 1? If so, who are they? Thank you SO much for your time!!! I know that you must be very busy! A: Another good question, Rachel. Amber does some of her own riding and a lot of her own roping and she has also fallen off a horse. You might think she was being doubled but you would be surprised at how many of her own stunts she actually does. Shaun Johnston (Jack) is totally comfortable on a horse and handles a lot of scenes where a less-experienced performer might have to be doubled. Also Graham (Ty) and Kerry (Caleb) do a lot of their own fight stunts. A: That scene looked good, didn't it Alex? The truth be told, with the motorcycle it was just a matter of getting an experienced rider/stunt double who knew exactly how to take a motorcycle down. It was a matter of two quick takes and then we were on to the next scene. The stunt performers and doubles we use are so well prepared and selected I often think there is a better chance of the production's cameras malfunctioning before a stunt doesn't come off properly. Q: Hey Tom!! As everyone knows, heartland is amazing, and thank you for all the hard work you have done. I was wondering, what your favorite stunt in all seasons was, and why? THANK YOU for everything, and im sure my coach agrees as Heartland is what keeps her sane with all the work around here! A: That would have to be when I was playing Garrett in Episode 317 ("Ring of Fire") when I had to rope a horse that came in to the arena and do it for real. It was a horse that had not ridden for about a year and it wanted to buck. So we got the saddle on him and when I got on him he started to buck but I had him under control. We shot the scene twice and both times it came off perfectly.